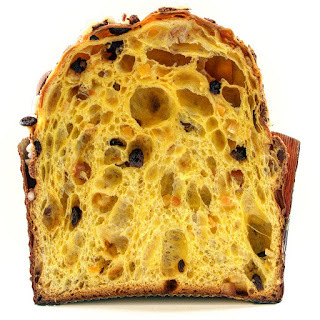 If you have ever wondered how to make your own panettone, and you enjoy a challenge as well as have a day to spare, this recipe is for you. There are many legends about how this cake originated and it appears that in ancient times the Romans sweetened a dough-like cake with honey; it is also said that poor people added a little dried fruit and sugar to bread dough as a Christmas treat. Soak the sultanas with the rum and a little lukewarm water and set aside. Dissolve 10g of the yeast together with 1 tsp sugar in the milk. Put 100g/3½oz/generous ¾ cup flour in a bowl, pour in the yeast mixture and work into a smooth dough. Form into a ball, cover the bowl with clingfilm (plastic wrap) and leave to rest in a warm place for about 1 hour, until it has doubled in size. Add 2 eggs to the bowl, crumble in the remaining yeast, add 175g/6oz/1½ cups flour and mix well. Add 60g/2¼oz sugar and 60g/2¼oz butter and use your hands to incorporate all the ingredients to form a sticky dough. Form into a ball, cover the bowl with clingfilm and leave to rest in a warm place for 2 hours, until it has doubled in size. Drain and squeeze the excess liquid out of the sultanas and set aside. Add the remaining 2 eggs, 3 yolks and the remaining flour to the dough and work with your hands for 10 minutes – the dough will still be quite sticky. Mix in the remaining sugar and the salt. Mix in 50g/1¾oz butter until well amalgamated, then addwill still be quite sticky. Mix in the remaining sugar and the salt. Mix in 50g/1¾oz butter until well amalgamated, then add the remaining butter. Add the candied peel, lemon zest, sultanas and vanilla seeds. Mix well, cover the bowl with clingfilm and leave in a warm place for at least 2 hours, until the mixture has doubled in size. Meanwhile, lightly grease a loose-bottomed panettone tin, 18cm/7 inches in diameter and 10cm/4 inches high (or other cake tin) and line with baking parchment. Turn the dough mixture onto a lightly floured work surface and work for a minute, then place in the prepared tin, cover with clingfilm and leave to rest in a warm place for at least 2 hours, until it has doubled in size. Preheat the oven to 200°C/400°F/gas mark 6. Using a small sharp knife, make a cross on the top and place a knob of butter in the middle. Place on the bottom shelf of the oven and bake for 15 minutes. Reduce the oven to 190°C/375°F/gas mark 5 and continue to bake for 45 minutes. 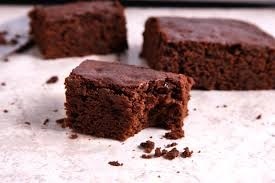 If you notice the top of the cake getting too dark too quickly, reduce the oven temperature to 180°C/350°F/gas mark 4. Remove from the oven and leave to cool slightly in the tin. Remove from the tin and leave to cool on a wire rack.